You just don’t say no when offered a cruise along the Thames by friends with a stunning boat like something from a familiar Bond movie. If you think Big Ben, Westminster and London Bridge then you’d be wrong about the image of the Thames upstream. This area where the famous Henley Regatta takes place is set in idealic surroundings with beautiful scenery, small mid river islands, individual properties, locks, walkers and other boaters. A world apart from the stresses and strains of everyday life. After navigating the locks, witnessing insubordination by one of the crew and debating the definition of a tall post, we moved on. We moored up in Henley on Thames, a river side town with quirky buildings, tilting floors and boats caught in the strong current taking the water down river and out to sea. Our group leader Captain Ahab suggested the Chocolate Box for lunch whose sign looked reminiscent of the Co-Op’s local store. A simple looking cafe on the edge of the river presented itself as a day time pit stop rather than an evening establishment. 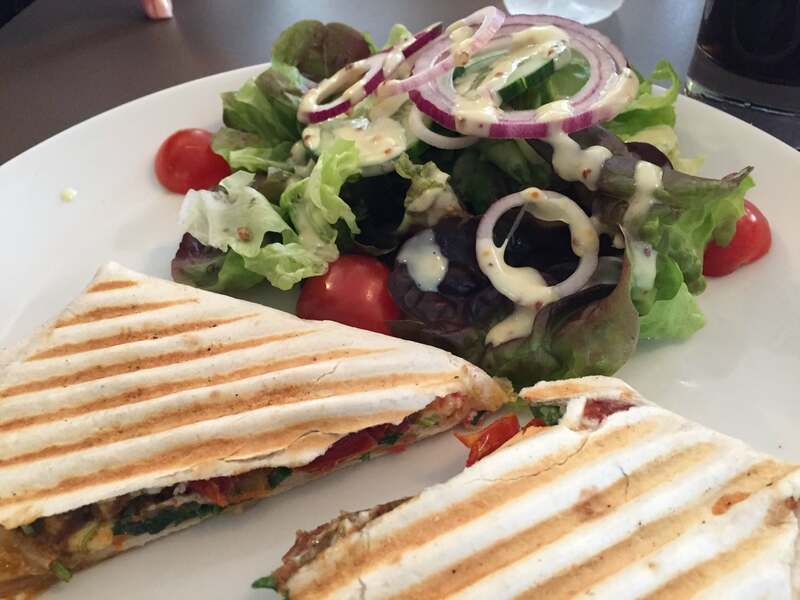 I had the Hallumi toasty garnished with salad which was surprisingly good. 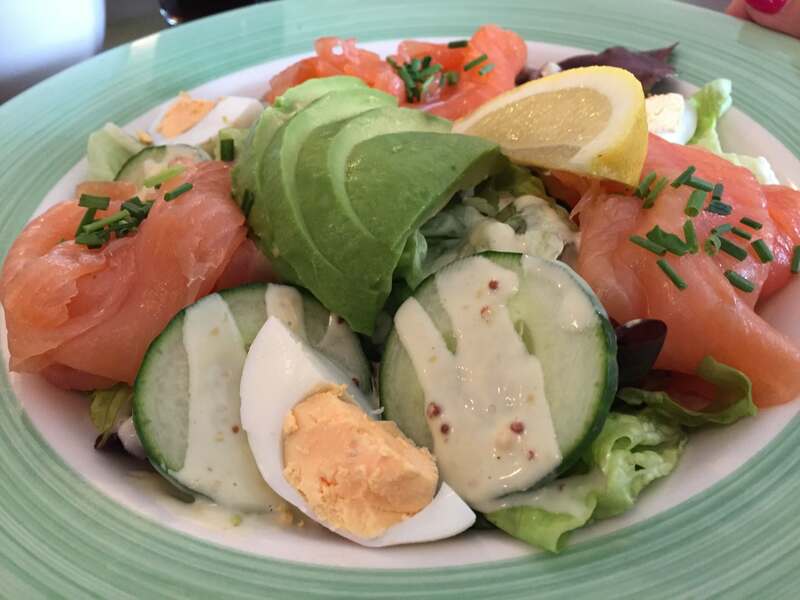 Whilst the ships first mate and my wife had the smoked salmon salad. 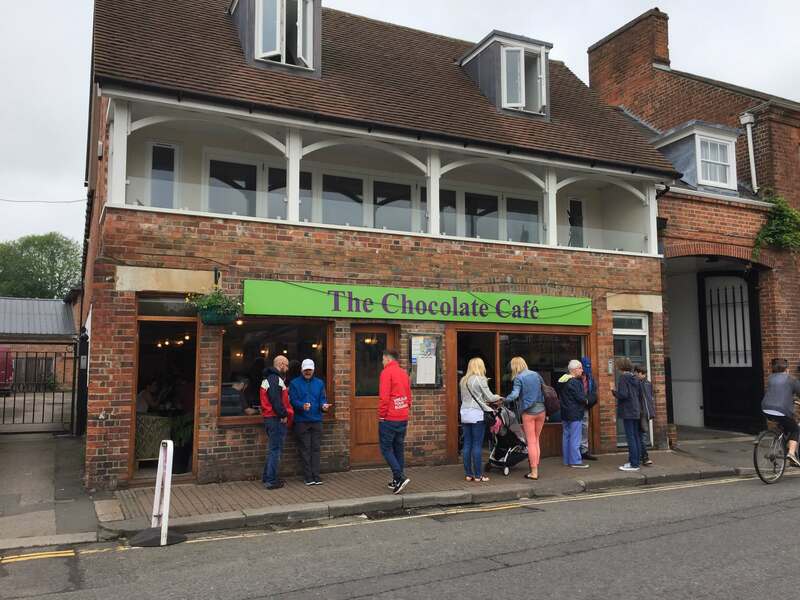 The Chocolate box is worthy of a mention because the food was good value and fresh. Sadly we didn’t have room or inclination for a calorie filled dessert, but they looked amazing! If you’re in Henley on Thames pop in for a bite to eat… you’ll get less lip than our Captain got!